Self-Assessment in Respiratory Medicine is an invaluable tool for any practitioner wishing to test and improve their knowledge of adult respiratory medicine. 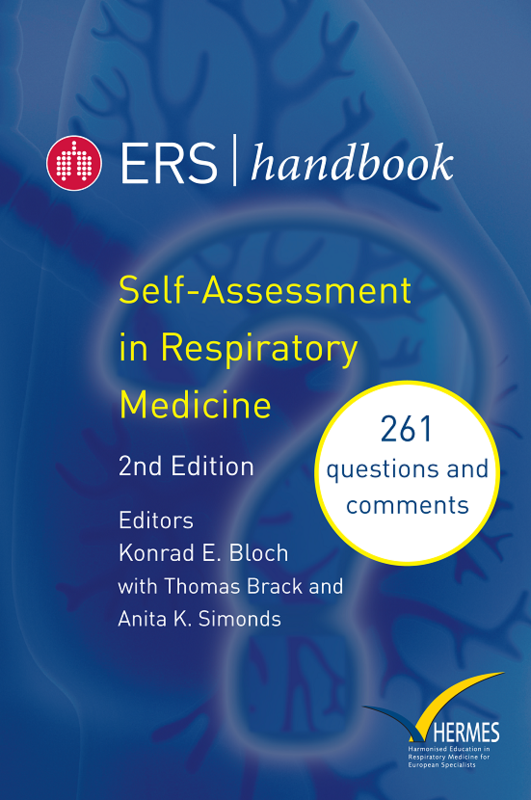 The updated, second edition includes 261 multiple-choice questions covering the full breadth of the specialty, using clinical vignettes that test not only the readers’ knowledge but their ability to apply that knowledge in daily practice. The questions have been compiled and tested by the ERS adult HERMES examination committee specially for this book, making it the perfect revision aid for candidates for the European Diploma, as well as any specialists in respiratory medicine who wish to exercise and improve their skills. Konrad E. Bloch is Vice Director of the Pulmonology Department at the University Hospital of Zurich and is Chair of the ERS HERMES examination committee. Thomas Brack is Head of Internal Medicine and Pulmonary Medicine at University Hospital Zurich, and is a member of the HERMES Examination Committee. Anita K. Simonds is a consultant in Respiratory and Sleep Medicine at NIHR Respiratory Biomedical Research Unit, Royal Brompton & Harefield NHS Foundation Trust, and Professor of Respiratory and Sleep Medicine at Imperial College, London, and Chief Editor of ERJ Open Research.